Locomotion has been a regional crowd favorite since June 1987. For over 30 years, the band has enjoyed success as one of southern New England's premier private event, wedding, club, and dance party bands. 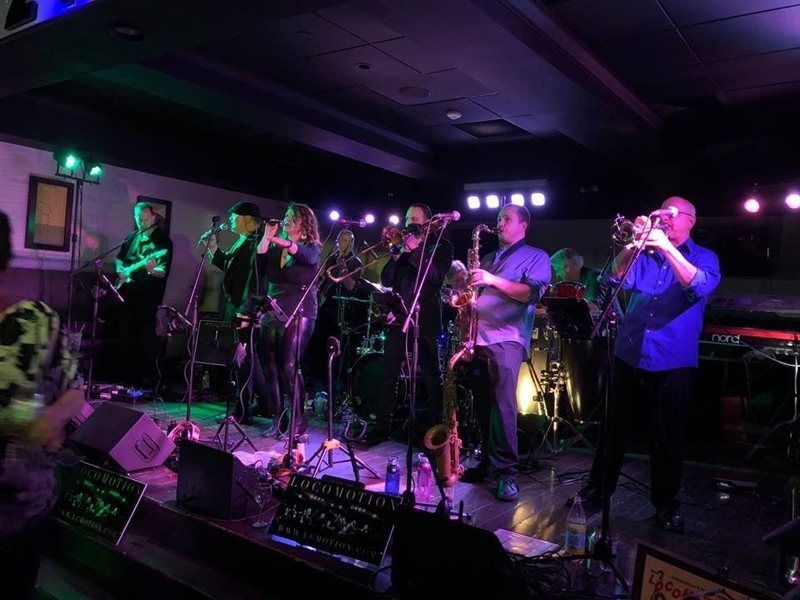 Featuring two lead singers and a full horn section, Locomotion's sound is distinctly diverse, with hot dance and party tunes from the 60's right up to today. Locomotion covers hits from a huge array of artists and easily covers a variety musical styles: Funk, R&B, Motown, disco, rock, and swing. The signature sound of the band's powerhouse horn section can be heard on just about every song we do. But the band really shines when we cover the most famous horn bands ever: Chicago, Tower of Power, and Earth, Wind & Fire. Over the last three decades, Locomotion has been honored to perform in CT, MA, RI, and NY at hundreds of weddings, private parties and events, corporate functions, popular clubs, casinos, outdoor summer concerts, major fairs, and charitable fund raisers for a variety of well-known organizations. In addition to being nominated in the Hartford Advocate's "Grand Band Slam" as "Best Band" for 1998, 1999, and 2000, Locomotion was also named "Best Band in Connecticut 2003" by Connecticut Magazine. The band has enjoyed sharing the stage with other national and local celebrities as well, including Chris Berman (ESPN), Orleans (who had hits like "Still the One" and "Love Takes Time"), NFL Hall of Fame quarterback Steve Young, legendary drummers Carmine Appice (Rod Stewart) and Bernard Purdie (Steely Dan and scores of other artists), and University of Connecticut Huskies all-time winning women's basketball coach Geno Auriemma.